Jim Hart is one of the Northwest Coast’s most accomplished artists. His monumental sculptures, poles, prints, and Jewellery can be found in collections throughout the world. Bridging classical and contemporary forms, Jim’s work is valued internationally for its beauty, integrity, and innovation. 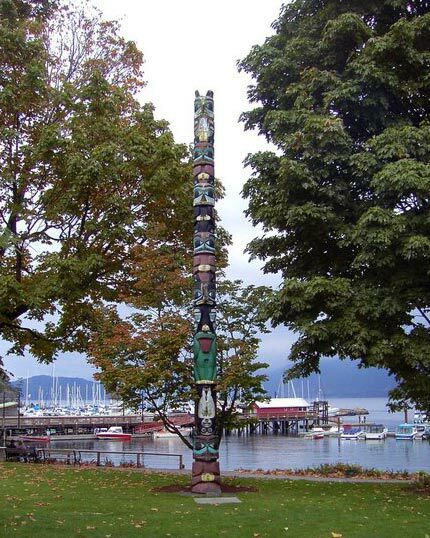 In August 1999, at the Memorial Chieftainship Potlatch at Old Massett, Haida Gwaii, Jim raised a 17 metre (55 foot) totem pole that he and his assistants carved in honour of his family. At this time, Jim received his name as Haida hereditary chief, 7idansuu (pronounced “ee-dan-soo”). This name was once held by Charles Edenshaw (ca.1839-1924), the master carver from whom Jim is descended. Jim was born in 1954 into the Eagle Clan at Old Massett. He began carving seriously in 1979, and worked for Bill Reid from 1980 to 1984. He assisted with several of Bill’s large-scale sculptures including The Raven and the First Men (at the Museum of Anthropology) and The Lord of the Undersea (at the Vancouver Aquarium). Jim also worked for acclaimed Haida artist Robert Davidson. After refining his Jewellery-making techniques in Vancouver for two years, Jim moved back to Haida Gwaii. He now divides his time between Old Massett and Vancouver. ** Biographical information provided by the Museum of Anthropology at the University of British Columbia.